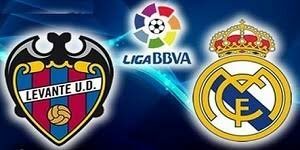 Levante welcomes Real Madrid in a match from the 25th round of the Spanish La LIga. Let’s take a look at this clash at the Estadio Cuidad de Valencia on Sunday night. At this moment Levante are 12th in La Liga’s standings with 30 points won so far. The club from Valencia have a record of 8 wins, 6 draws and 10 losses in the games played until today. In their last five games Levante won twice, lost twice and made one draw. Levante’s last game in the league ended with a win. Paco Lopez’ boys enjoyed a 4-1 win during the visit to Celta in Vigo. Jose Luis Morales scored a brace for the visitors, while Coke and Borja Mayoral also scored for Levante. Celta’s only goal in the match was scored by Brais Mendez, but it was far from enough. Real Madrid are 3rd in La Liga with 45 points won so far. Los Blancos were chasing Barcelona at the top, but Santi Solari’s team made a surprising mistake in the previous round, losing at home against Girona. Because of this defeat at the Santiago Bernabeu, Real Madrid are now 9 points behind Barca. It won’t be easy for the European champions to reduce this gap, that’s for sure. It’s hard to explain what happened against Girona at the Bernabeu. Casemiro opened the score for Real Madrid, but after the break Girona turned the game around in their favour. Stuani equalised after a penalty kick, before Portu clinching the win for the Catalans with a winning goal in Thibaut Courtois’ net. 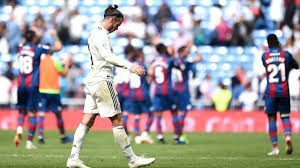 Surely Real Madrid will try to bounce back after this surprising defeat, beating Levante away from home. But the manager Santiago Solari is aware that if his team replicate this performance in Valencia, maybe it’s going to be very hard once again.